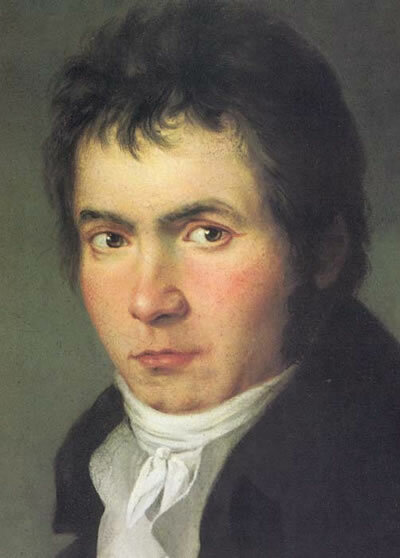 The fourth piano concerto was written during a period of great productivity for Beethoven, a time when great masterpieces seemed to flow from his pen, one after another. The violin concerto and the fourth symphony were completed in the same year, and the fifth and sixth symphonies in the were completed in the following two years. Even more strikingly each new work seems to have an original character of its own. The fourth piano concerto is no exception. It is very different in character from the other four he wrote, and contains some strikingly original ideas. Not the least of these is the opening of the work, where the soloist plays the first subject unaccompanied in the home key of G major, but is interrupted by the strings playing pianissimo in the unexpected key of B major. A gesture that creates an ethereal effect suspending the listener in unknown territories before the exposition starts reassuringly, back in the home key. The short second movement of the concerto is also remarkable. It takes the form of a dialogue between the strings and the piano. The string passages are generally loud, aggressive and acerbic whereas the piano is quiet and contemplative. Many critics have suggested possible scenarios that this conversation might be depicting, but perhaps the two voices are just different aspects of Beethoven's character. The third movement is characteristic of Beethoven and his most genial and humourous with moments of unfettered exuberance. And also here we find original ideas that mark this concerto out as a work of genius, such the rondo theme starting in the sub-dominant rather than the home key. The first performance took place at a private concert in March 1807 given in the home of Prince Franz Joseph von Lobkowitz, along with the fourth symphony. Beethoven himself played the piano. The first public performance took place at a remarkable, all Beethoven concert given on the 22 December 1808 at the Theater an der Wien. The programme was over four hours long, and contained an amazing number of new masterpieces, including the fifth and sixth symphonies and the choral fantasy. By all accounts this ambitious concert was not the success that Beethoven had hoped for. The orchestra was under rehearsed, and had stop and re-start a section of the choral fantasy. The hall was bitterly cold, and the audience became bored and exhausted by the length of the programme. However, this inauspicious beginning did not stop the fourth piano concerto from becoming one of the most popular and frequently performed works of its genre. Beethoven's Fourth Piano Concerto was performed by the Portobello Orchestra on the 4th July 2015. The soloist was Artur Pereira and the orchestra was conducted by William Church.